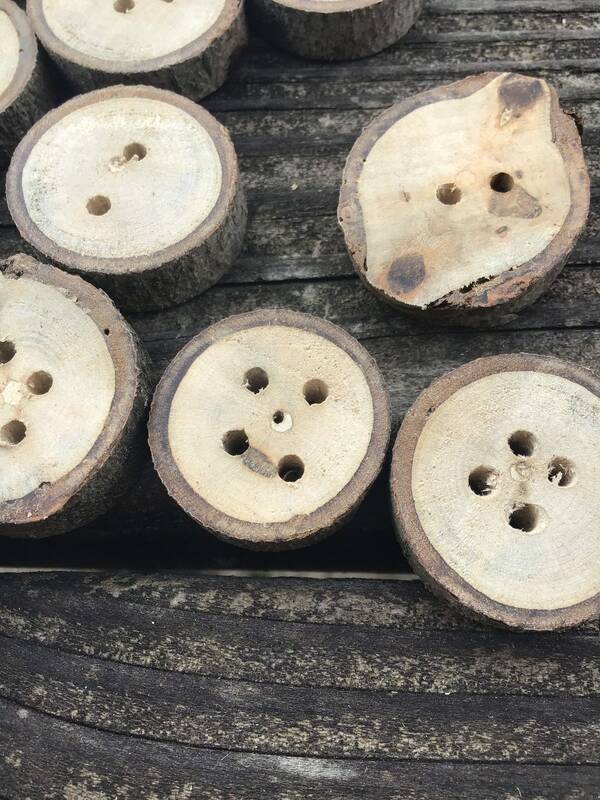 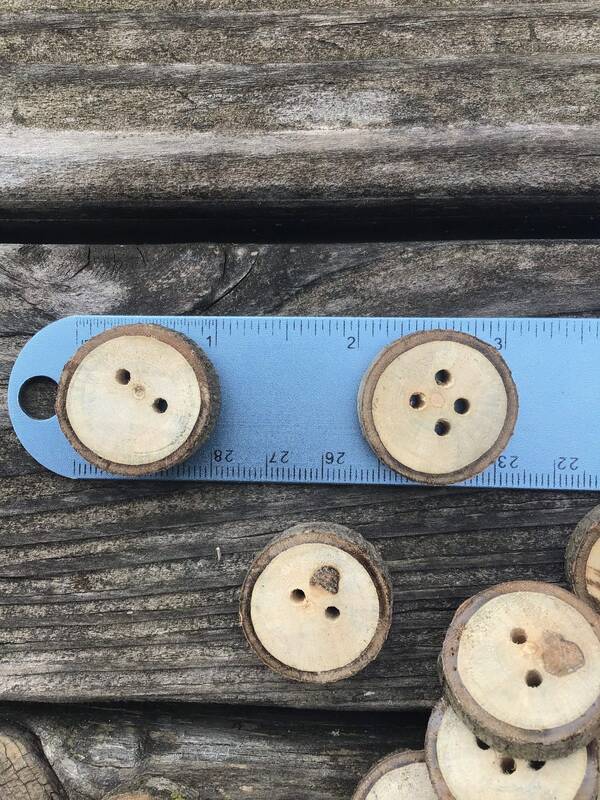 This listing is for a set of four handmade live edge buttons in assorted woods. 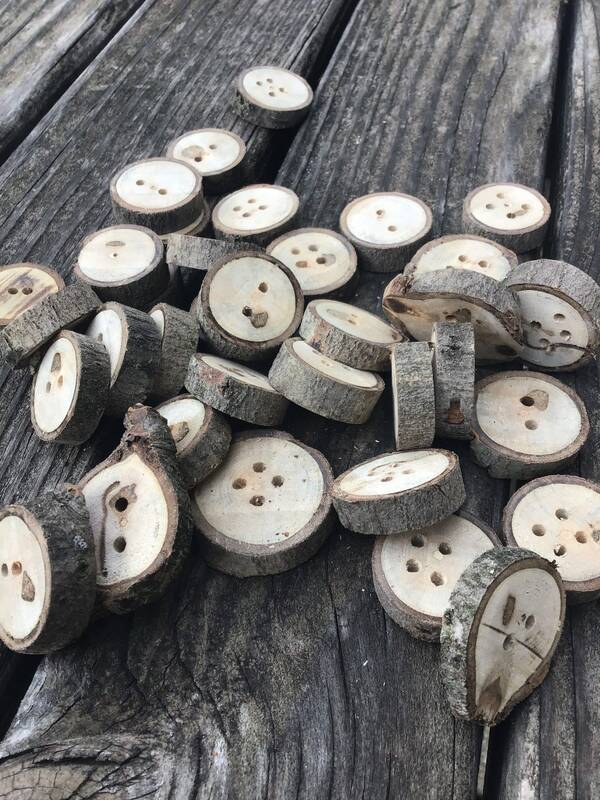 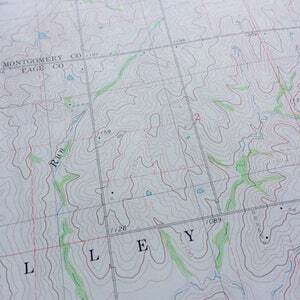 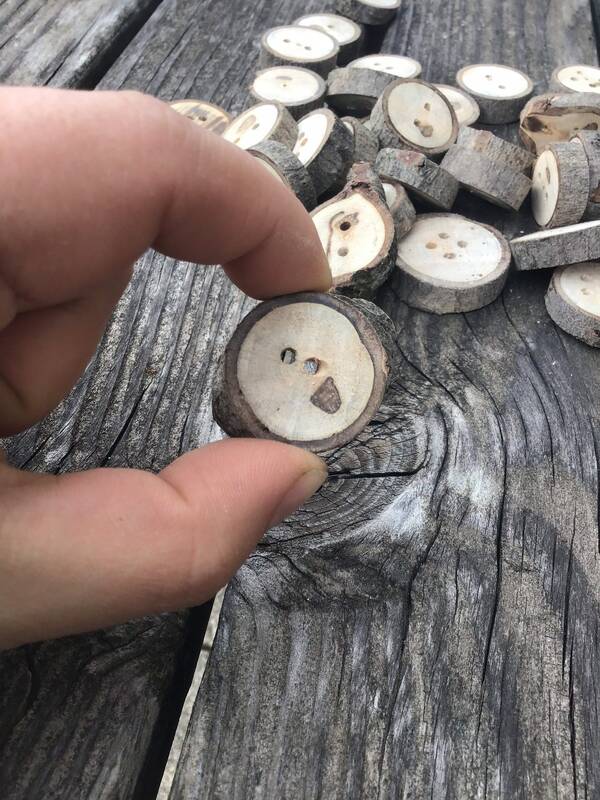 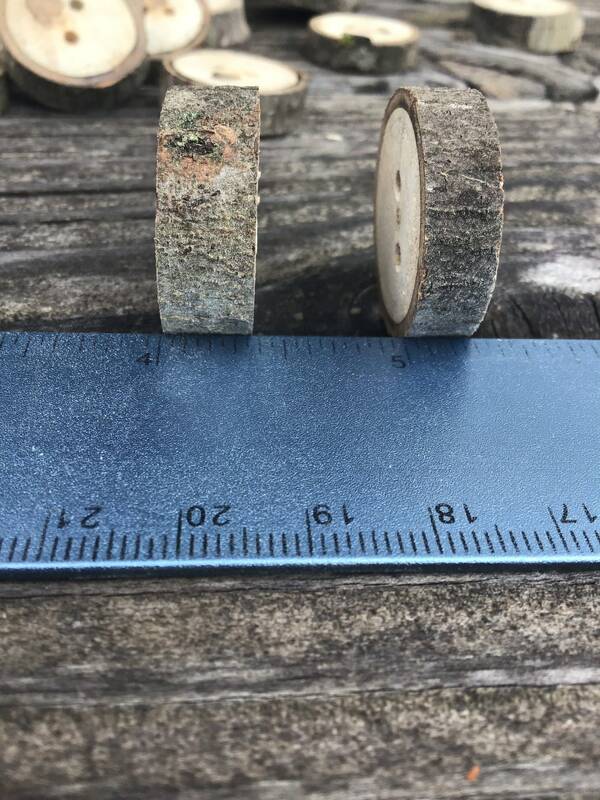 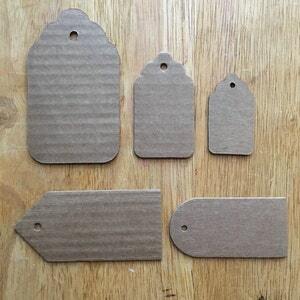 Each button measures approximately 1 inch in diameter and a quarter inch thick, but each button is hand cut one at a time from real wood branches, so the exact size may vary. 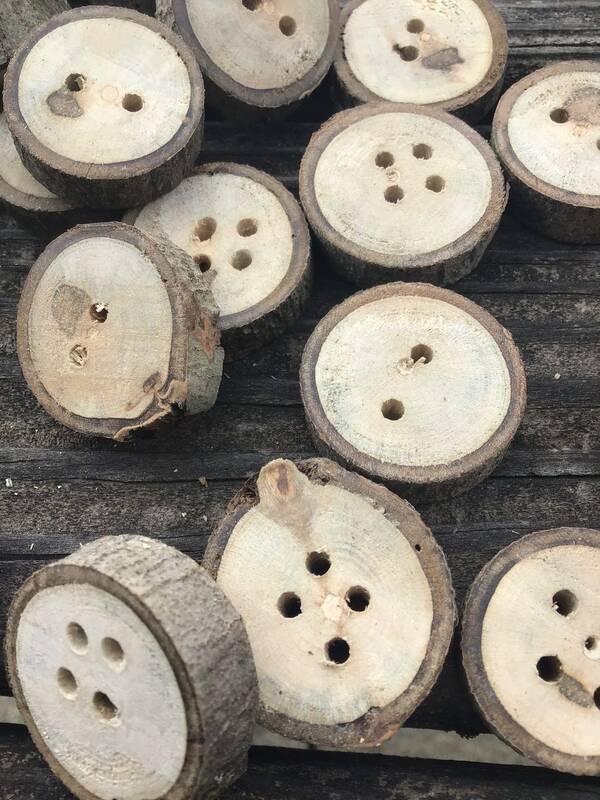 You can select how many holes you want each button to have from the drop-down menu.